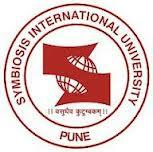 The "Oxford of the east" Pune is home to few but good colleges for the study of journalism. These colleges enlisted as the best mass communication institutes in Pune offer relevant need and skilled based courses of study that combine holistic classroom learning and practical experience. Click and discover the top Journalism Colleges in Pune 2019 and find all the information you may need about these colleges right from admission to placement. Symbiosis Institute of Mass Communication is an educational institute for journalism and communication that runs under Symbiosis International University, which is a deemed university. The Film and Television Institute of India (FTII), is an autonomous Institute under the Ministry of Information and Broadcasting, Govt.